Order of the Trade Winds of Trimaris (OTWT): given for enduring and exemplary service in the Arts and Sciences. signed and sealed by Our Hand upon the _______ day of ________, _____________ Anno Societas. 2.) Education is one of the foundations of Our Dream, and those who teach secure that Dream unto posterity. We the Crown Trimaris find that ____________ is one who ensures Our past shall not be forgotten, and so we welcome them to the Order of Trade Winds Trimaris. Hereto do We lay Our Hand and Seal this ______ day of _________ AS ___________. 3.) Our society endures only so long as we endeavor to teach, to train and educate one another in the arts, sciences, and skills of those who came before. Knowing your efforts help to give Us the future by sharing the past, We are pleased to welcome ________________to the Order of the Trade Winds, Trimaris.Done this _____ day of _____, A.S. _____. 4.) Teachers provide the foundation for others to learn new ideas. Education inspires us to greatness. And constant training hones those skills to allow us each to succeed. The Arts and sciences provide us a chance to embrace these traditions by sharing the past into our future. Because of their efforts to bring the past into the present , We welcome ______ into the Order of the Trade Winds Trimaris. Done this ________ day of ________, ______ Anno Societas. 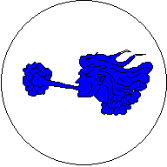 The Order's token is: Argent, an aeolus azure.